As summer is in its full swing it is the perfect time to enjoy the pool parties and barbeques with friends and loved ones. But, it is definitely not the best time for the construction industry as building professionals face many problems and challenges due to high temperature. It gets difficult to complete even a simple concrete project in hot weather. The humidity and heat increase the chances of mistakes in the construction. The dry weather is also not good for executing concrete projects. So, if you are planning to execute a construction project this summer you must know the effect of high temperature on concrete and how to deal with it effectively. This will surely help you prevent the costly problems. In the extreme climate, the experienced concrete contractors make it sure that they overcome all the challenges posed by the summers to meet the deadline and complete the project successfully. They make it sure to pay extra attention to the following factors while the concrete is poured. They are as follows. It is difficult to work in the dry climate. It not only causes dehydration among the workers but also affect concrete. When the weather becomes dry, the poured concrete starts losing the water quickly. This dries out the concrete making its surface breakable. The lack of moisture leads to contraction of the concrete at the surface. This will also make the concrete beneath the surface dry. Thus, the cracks on the surface of the concrete will occur, destroying all the hard work done so far. Such conditions make the concrete weak and breakable. In many places during the summers, a rapid change in the temperature can be experienced as soon as the sun sets. The days remain warmer while the evenings become cool. This fluctuation in the temperature is dangerous for the concrete. 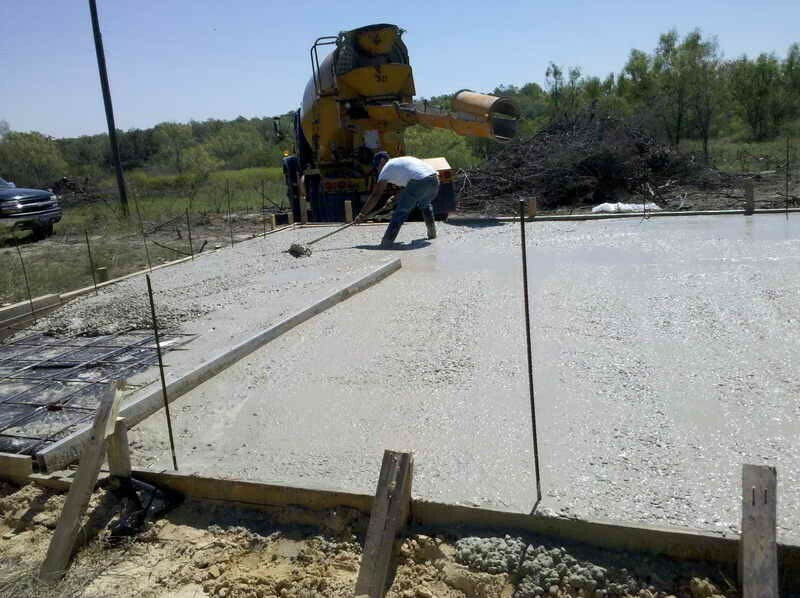 Heat and wind affect the concrete pouring process badly. In humid climates, the wind can dry the concrete quickly which can pose problems for the structures. Also, if the concrete faces lots of heat and sunlight, this results in cracks. So, it is not just heat and wind that affect concrete but sunlight is equally bad for it. Best ways to deal with the high temperature in summer for executing your project successfully. Make sure that you schedule the concrete work when the temperature is relatively down. During the summers, the mornings and evenings can be utilized for the project. This way it will get easier for the contractors to avoid the heat issues for constructing strong concrete structures. Use temporary sunshades or tents so that it becomes easy to keep the sunlight away from the concrete. This way, it will be easier to empty the truck and also to pour the concrete. The surface of the concrete will be kept cool and wet and thus, it will prevent concrete from cracking. As already mentioned, the water of the concrete mixture easily dries up when the weather is really hot. This results in a faster set time of the concrete. To solve this issue, most people add more water to the mixture. But, this disturbs the water/cement ratio which adversely affects the structural integrity of the concrete. The best way to deal with this situation is to use the retarders so that the water level in the concrete can be maintained. This will prevent the water from evaporating, which will help in maintaining the quality of concrete. Using ice is considered to be the best way to work with concrete during the summers. It can be costly but the ice definitely keeps the temperature low when it is really hot. The sunlight and heat will pose no issue here. However, if you want to make your work even simpler, then it’s better to take the help of experienced building professionals to manage your project perfectly even in the worst conditions. In addition to this, you should order top quality concrete from a reliable concrete supplier like RMS Concrete to build strong structures. So, consider these tips to execute your project successfully during the summer season.